Learning about progress against cancer has been a main theme here on After Twenty Years since I started this blog about five years ago. One of my first posts in 2013 was a look back at progress against breast cancer in the twenty years since I had been diagnosed. Now, as we come to the end of 2018, let’s take another look back, but this time let’s focus on what we’ve seen in progress against breast cancer over the last five years or so. Are mortality rates from breast cancer declining — are fewer people dying from breast cancer? Do we have new ways of treating breast cancer that are more effective and less toxic? Are we closer to being able to say that anyone who needs treatment can expect to receive high quality care? Are we better able to detect breast cancer “early” — when it can often be treated more effectively? Are fewer people getting breast cancer in the first place — are we learning how to prevent the disease? We hear a lot these days about research into promising new immunotherapies and targeted cancer treatments. But when prices for new cancer therapies often exceed $100,000 a year, how many people could realistically be helped by new treatments like these? And prices for older drugs are accelerating too. A recent article in the New York Times reported on the stories of a number of individuals struggling to cope with drug prices for essential medications that are far beyond what they can afford. What’s the latest news in cancer research that stands out the most? In this post, I’ll briefly review several of the most interesting cancer research stories that have been in the news this summer. Topics covered this time include the first approval of a cancer drug based on a biomarker rather than the where in the body the cancer started, as well as a first approval for an innovative therapy in which a patient’s immune system cells are genetically engineered to attack cancer. 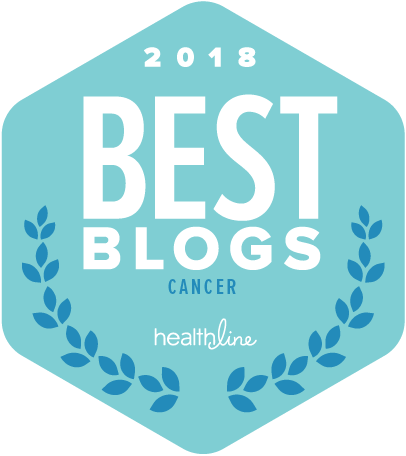 In this post, I’m taking up a summer blogging challenge posed by Nancy at Nancy’s Point to answer ten random questions about cancer that she has put together. Nancy has shared her answers to the ten questions, and asked other bloggers and readers to join in and answer as many as they like. It sounds like a great opportunity for all of who read or write blogs to get to know each other a little better!